Irving, Texas, March 14, 2018 – The American Recovery Association (ARA), the world’s largest association of recovery and remarketing professionals, is excited to announce a new partnership with Bridgecrest. As part of this agreement, ARA will assist Bridgecrest in their vendor vetting, training and monitoring program. ARA seeks to be a viable industry solution to the high cost of vendor training. This partnership is a major benefit to Bridgecrest’s current vendor network, as it significantly reduces the financial burden placed upon them. Bridgecrest Acceptance Company is a licensed third-party servicer, servicing loans for DriveTime and other affiliated finance companies. For more information on Bridgecrest Acceptance Company, please visit bridgecrest.com. IRVING, Texas – March 7, 2018 – The North American Repossessors Summit (NARS), an industry event hosted by the American Recovery Association (ARA) and headline sponsor Harding Brooks Insurance, is pleased to announce a three-year partnership with MVTRAC to sponsor the annual NARS Golf Tournament and Hole-in-One grand prize. The 2018 event will take place on Thursday, April 19 with a 7:30 a.m. shotgun start at the beautiful Dallas Cowboys Golf Club. For $200, NARS attendees will have the opportunity to play at the world’s only NFL themed golf club. This price includes: golf balls, a GPS, a golf cart, buffet style breakfast and lunch, plus any non-alcoholic beverages. The tournament, hosted by the American Recovery Association, is an opportunity to network with various professionals in the recovery and remarketing industry. When registering, you can sign up as an individual, four-person scramble, or four-person scramble with a client. Register for the golf tournament here. This year’s golf hole sponsors include AGR Recovery Specialists, ARB of Louisiana, ARB of Louisiana Lafayette, California Association of Licensed Repossessors,Council of Repossession Professionals, Gotcha Recovery, National Locating & Recovery, Automobile Recovery Bureau, Houston, All Cities Recovery, Rocky Mountain Repossessors Association, Experian, Certified Agents Specialist Association, Premier Adjusters, Inc. & Texas Pride, and Repossessors, Inc.
NARS 2018 will be one for the books, hosting more than 600 professionals from the collateral recovery and remarketing industries to gather and network. This year’s speaker lineup includes Dr. Tom Jones, scientist, author, pilot, and veteran NASA astronaut, as well as other industry professionals who will focus on open and collaborative discussions about the future of collateral recovery and remarketing. The North American Repossessors Summit (NARS) is a 2-day conference for professionals in the recovery and remarketing industry from across the country to come together to address key issues impacting their industry and businesses. NARS provides an open and collaborative environment for all recovery industry professionals to address challenges and complexities in the industry and lay out the foundation for the future. The summit welcomes recovery specialists belonging to every type of professional organization and association across the country. For more information, visit www.reposummit.com. Register for the January Webinar! Jan 23, 2018 • ARA News and Events • Comments Off on Register for the January Webinar! It is an honor to introduce our newest board member, Amy Bednar, president and co-owner of Relentless Recovery in Ohio. Jim Hall’s retirement created a vacancy on the board, and our president has chosen Amy as his replacement. She will complete his term that expires at the ARA Convention in 2019. 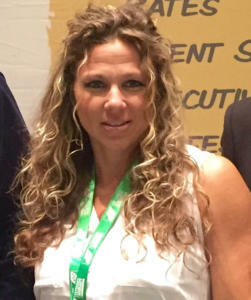 As an owner of one of the largest recovery operations in Ohio, she will be an asset to our association as we try to build relationships with lenders and continue the process of building the finest training and monitoring system in the country. Amy and her partner, David Ziebro, gave Relentless its start by working for buy here pay here lots. Since its humble beginnings in 2001, Relentless has grown into a successful agency working with large lenders to recover over 2,000 cars per month throughout the state of Ohio. Amy has been an ARA member since 2010, and her company has been featured in Scene Magazine, Popular Science, and various news articles related to its philanthropic endeavors and pioneering deployment of technology in the recovery industry. When not at work, Amy enjoys spending time with her two sons, being a foster mom, and leading bible study with her husband. As you are well aware, there are repossession companies having their bank accounts closed by the very banks employing them, allegedly because they don’t meet the bank’s “risk profiles.” Although recent actions at the highest levels of our government should go a long way toward resolving this issue, those wheels are infamously slow to turn. Meanwhile, American Recovery Association is proactively working to correct individual wrongs as well as working with others to present a united front for the entire industry to our legislature, banks, and the Department of Justice (DOJ). If you and your business have been directly affected by this issue, contact ARA and please be sure to inform us of the particulars. On background, Operation Choke Point was a 2013 initiative of the United States Department of Justice to investigate banks and their business associations that the DOJ believed to be a high risk for fraud and money laundering. The program, which purportedly was to use legal and regulatory pressure to “choke off” financial support for businesses that were exploiting consumers, unfortunately had a far wider effect. Banks were being pressured to separate themselves from legal businesses of which the previous administration disapproved (like payday loans, gun dealers, etc.). Obviously, the effect has gotten wider, yet. On Monday, the House of Representatives passed a bipartisan bill to prohibit any future Operation Choke Point initiatives. American Recovery Association insists the closure of accounts of professional collateral recovery agents who have been held to the highest levels of personal and business standards in the financial arena is unlawful and unconscionable – this practice must be stopped and all accounts reinstated. We have been in contact with Representative Hensarling’s office and Senator Ted Cruz’s office about this matter. Rest assured we will continue this fight until we win. This month, we’d like to recognize longtime member Gary Purdom, President of MO-KAN Central Recovery Company in Kansas City, Kansas. A loyal member since 1989, Gary and his company of professionals have represented themselves and ARA in a laudable manner, day in and day out, year after year.Clients love working with them for the services they provide and their willingness to go the extra mile. Just last month a client sent them a $100.00 bonus check for handling a particularly difficult transaction. Knowing happy employees make happy clients, Gary recently purchased “sit and stand” desks for his office personnel. When he’s not slaving away at the office, Gary can be found on the soccer fields coaching young athletes, teaching the same work ethic he develops in his employees. Thank you, Gary, for your membership and for being such a great ambassador for ARA. 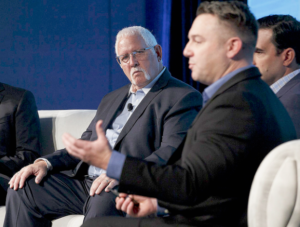 ARA President Dave Kennedy was asked to participate on a panel Monday night at Used Car Week, alongside officers from JD Power and Pelican Auto Finance. The association and our industry can be proud Dave was chosen to represent them at this significant conference where a majority of the attendees were c-level executives. “Dave made a great impression at Used Car Week. The phrase ‘Relationship Recovery‘ was born, and he received a great deal of interest from several lenders in the room.” – Keith Baggett, Repossessors Inc.
Dave spoke to the current industry trends in repossession, including new technologies such as body cameras and routing systems. When discussing third-party compliance, Dave stressed the importance of lenders knowing their recovery agents and having a direct relationship with them in order to avoid risk. We are proud of Dave and we look forward to continuing this conversation with lenders and representing our association at events like these. This month, we want to highlight everyone who donated to our Hurricane Relief Fund. We were able to get the funds distributed to the families who so desperately needed help, many of whom had up to three feet of water in their homes and no flood insurance. It’s members like you that make ARA great. Thank you! A survey published earlier this year showed that in the past 12 months, hackers have breached half of all small businesses in the United States. Small businesses, which often don’t have the revenue to afford their own IT departments, are especially susceptible to phishing attacks via email or fraudulent activity through their online activities. Eighty-seven percent of small business owners don’t feel they’re at risk for a cybersecurity attack, and 1 in 3 small businesses don’t have the tools in place — firewalls, antivirus software, spam filters or data-encryption tools — to protect themselves. The American Recovery Association (ARA) wants you to know YOU are at risk. National Cybersecurity Awareness Month (NCSAM) has been observed every October since 2004. The program was developed by the Department of Homeland Security and the National Cyber Security Alliance to ensure every American has the information and resources to stay safer online. With these in place, you can keep out a lot of the bad stuff. Just remember, there are consequences for your online actions. We’ve collected these cybersecurity statistics for small businesses from a variety of sources. 50 percent report they had data breaches involving customer and employee information in the past 12 months (May 2015-May 2016). 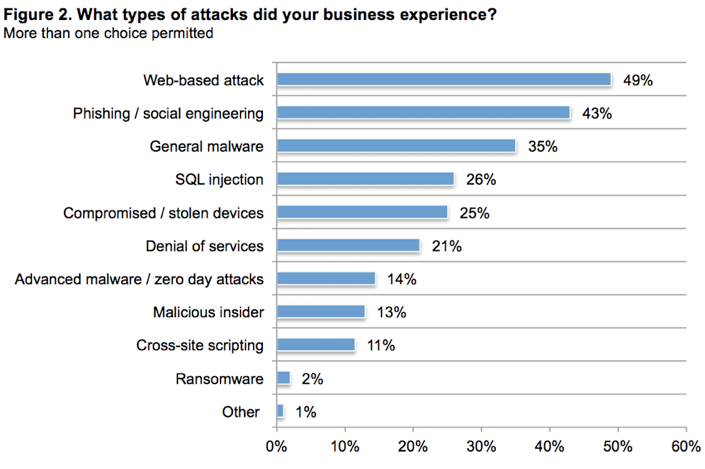 43 percent of cyberattacks target small business. Only 14 percent of small businesses rate their ability to mitigate cyber risks, vulnerabilities and attacks as highly effective. 60 percent of small companies go out of business within six months of a cyberattack. As you can see, just like us most other small business industries are most concerned about the security of customer data. In the aftermath of these incidents, these companies spent an average of $879,582 because of damage or theft of IT assets. In addition, disruption to normal operations cost an average of $955,429. While many small businesses are concerned about cyberattacks (58 percent), more than half (51 percent) are not allocating any budget at all to risk mitigation. 16 percent of respondents admitted they had only reviewed their cybersecurity posture after they were hit by an attack. In the end, the keys are: get educated and be diligent. Employees have to be made aware that what may appear to them a harmless internet connection can open the door for a ruthless cyberattack. *Portions of this article were taken from malwarebytes Labs and other open source resources. This month’s member highlight is a special one. We want to recognize Jim Hall and his wife Carolyn who have just sold their company, Hall Recovery, after 31 successful years. We could not be happier for them and we wish them well in their retirement. 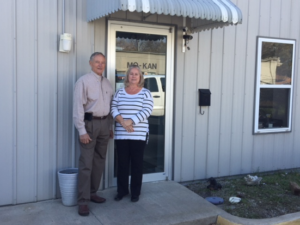 Jim and Carolyn have always been an integral part of the repossession industry as members of the American Recovery Association, National Finance Adjusters, and Time Finance Adjusters. Jim spent most of his time away from his business working non-stop for the American Recovery Association as a member, board member, president and past president several times, and immediate past president, and is still helping whenever called upon for any task. Jim has received numerous awards from ARA, including the Dedicated Service Award in 2013, the Key Award in 2016 & 2009, and the Special Recognition Award in 2016, to name a few. All well deserved. “In the past 35 plus years I have known Jim, he has been the epitome of what repossession companies should be like. He has remained steadfast in his moral concepts, with an incredible work ethic. Most importantly, he has a deep love for his family and friends; I am happy to be among that group. I wish him and Carolyn truly the best in their retirement.” – Immediate Past President Jerry Wilson. “I can’t believe Jim Hall retired without me. The best of luck, I love you brother. I still remember your old Chevrolet Lumina in Dallas years ago. Those were the days!” – Kevin McGivern, Equitable Services Inc.
“Jim, it was my honor to work with you all these years. You are a person of integrity and loyalty to the American Recovery Association, and Carolyn putting up with you all these years!” – Mary Jane Hogan, National Locating and Recovery. “I am happy and sad for Jim and Carolyn. Sad, that he will not be in the boardroom, saying ‘now wait a minute, let’s talk this out’. I am happy that Carolyn and Jim will have more time to spend with their only child, Austin, who is in the music industry and who will most certainly one day make it big. This is not a goodbye, but a new beginning for Jim and Carolyn.” – Joan Hudson, ARB of Lousiana. 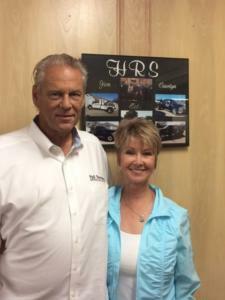 Jim & Carolyn, we appreciate you and everything you’ve done for ARA and the repossession industry. 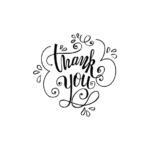 Thank you for being outstanding ARA members and wonderful friends. On to the next adventure!